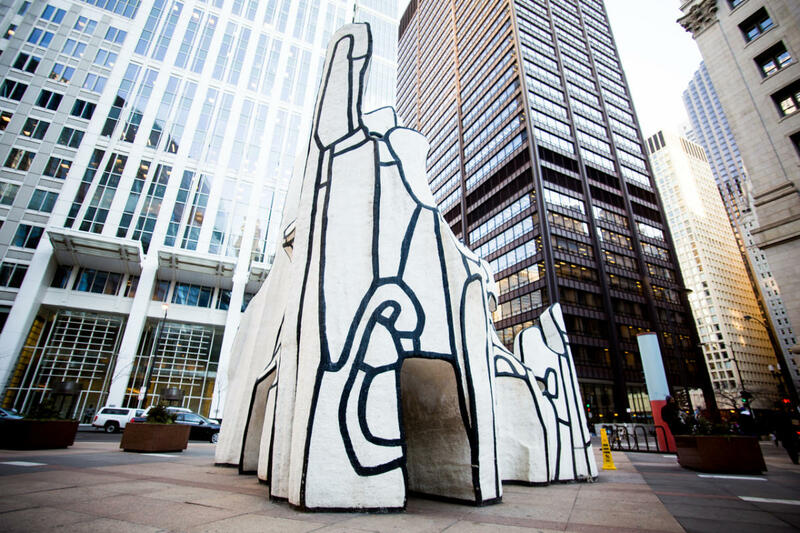 Jean Dubuffet felt a special affection for Chicago, home to one of his three monumental sculpture commissions in this country. Monument with Standing Beast comprises four elements that suggest a standing animal, a tree, a portal and an architectural form. The configuration invites viewers to enter the sculpture and echoes the dramatically open plan of the James R Thompson Center.